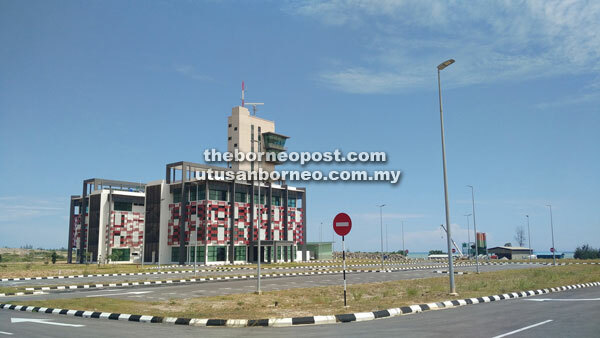 BINTULU: There is an old saying ‘well begun is half done’, which means a good start is important for the successful completion of any undertaking. 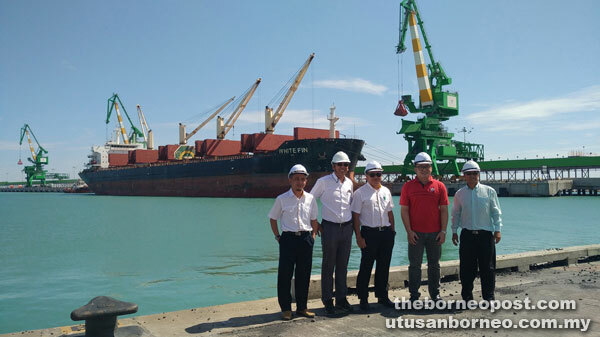 For state-owned Samalaju Industrial Port (SIP) project, developed and managed by Bintulu Port Holdings Bhd, it was a good beginning for the good cause of serving the needs of the existing and growing energy-intensive industries in Samalaju. The most sophisticated conveyer system spanning 14km with four lines to deliver raw materials from incoming cargo direct to a manufacturing plant in SIP. The Samalaju Industrial Port is fully equipped with the most sophisticated system and equipment. A panoramic view of the Samalaju Industrial Port in the picturesque setting of the South China Sea. A huge vessel berthing at the Samalaju Industrial Port. 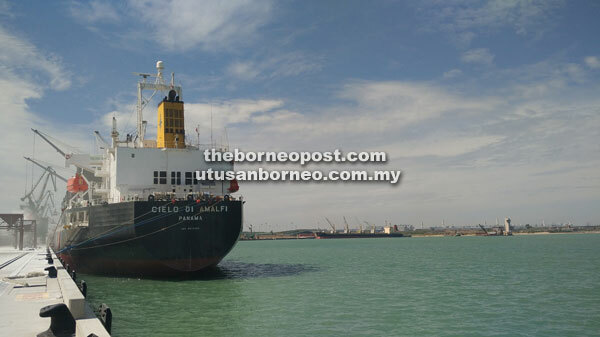 Many activities are being carried out around the Samalaju Industrial Port. Ling (second left), Matshalleh (centre), staff of SIP and others pose with a vessel in the backdrop. 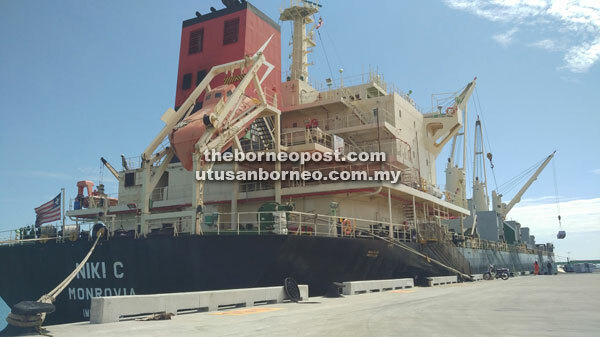 A vessel berthing at the new deep sea port that started operation in April this year. A building equipped with radar to detect and monitor ship movement. BAT7 had a delightful field day with the chief operating officer (COO) of SIP Matshalleh Mohamad Elti and the consultant of the project Roland Ling of KTA (Sarawak) Sdn Bhd. Positioned within the Samalaju Industrial Park, SIP is located 60 km northeast of Bintulu by road. It is in the key location of Sarawak Corridor of Renewable Energy (SCORE) where various ambitious industrial projects and development have been and will be set up. This is definitely not a job half done in the strict sense. 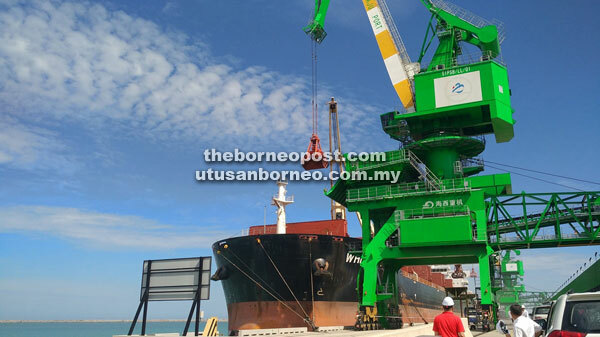 It was on schedule and within budget, which undeniably was a rare happening in the country for a massive project like Samalaju Industrial Port. However, beginnings are always difficult and this project was no walk in the park for SIP consultants and contractors. The new, world class port covers 393 hectares in a 7,000-hectare industrial park dedicated to heavy industries housing companies engaged in aluminium smelting, steel, oil refining, and a wide range of industrial and commercial activities. It is fully equipped with sophisticated systems and equipment including handy size berth, handyman berth, barge berth, harbour crane, storage facilities, conveyer system, reach stacker, heavy and high mast forklift, excavator, cranes, wheel loader and many more. Cost control and coordination of ten various packages both on land and offshore were the main challenges faced in the project. “Cost control is very challenging but we managed to achieve it,” Ling disclosed. 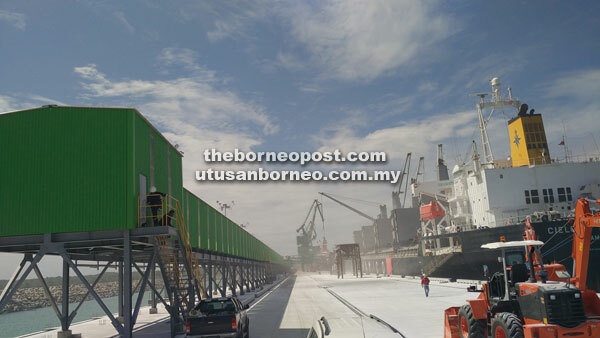 “Coordination of 10 various packages was another challenge as they involved numerous different contractors carrying out work on the same site both on land and offshore,” he said, which Matshalleh agreed. For the marine works conditions, Ling pointed out that the contractors had to go through four monsoon seasons. “Preparation of works and completion of works should also include protection of the work. A freak storm of 3.5 metres high swept four vessels to the shore in 2013. Luckily there were no injuries,” he added. The project, with two to three thousand workers at its peak, has not recorded any work accident. “We feel a sense of pride to see a structure of this magnitude, starting from zero, slowly taking shape and finally materialised. It is amazing to see the completed structure as has been planned,” he added. Developed at a cost of RM1.8 billion, SIP has been fully operational since April 22 this year. It is capable of handling seven big vessels at any one time with productivity capacity or cargo volume of 1,000 tonnes per hour by each of the four conveyor lines. 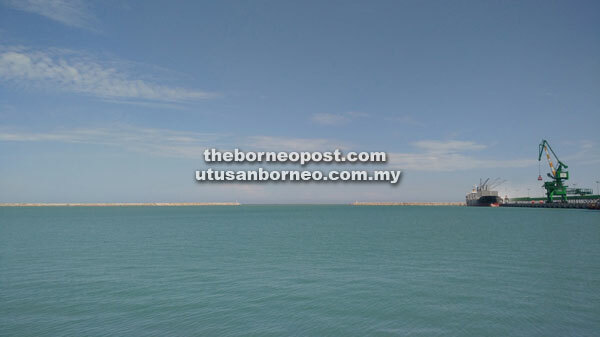 Matshalleh said the port can increase its capacity with newer and advanced technology in the near future to make it the fastest handling port in the country. “It is one of the most complicated projects I’ve handled because everything started from zero including having to raise equity in order to kick off the project,” he explained. True to the saying that a good beginning makes a good ending, the project also reminds us that it takes strong commitment, teamwork, dedication and determination to ensure success. The scale of the SIP is a sign not just of the ambition of Sarawak, for it will have an impact on the economic landscape of the state. It will play a vital role in facilitating regional economic growth and deliver significant economic benefits to the region.